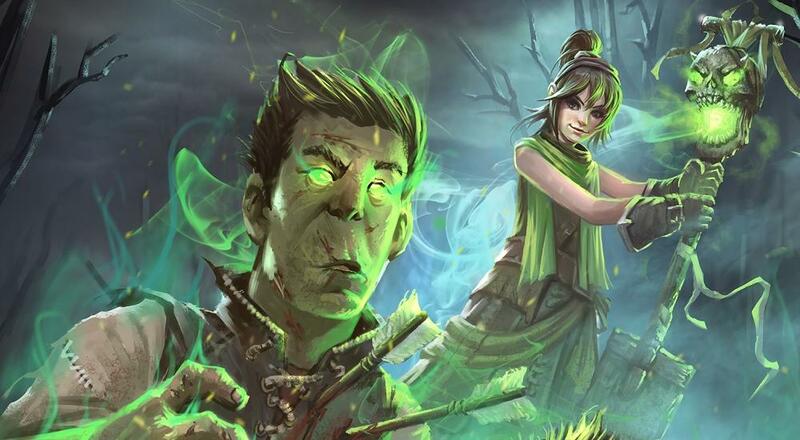 Fable Fortune left Early Access last week and has fully arrived as a free-to-play card game on the PC and Xbox One. As it's been sometime since we took a look at it, we decided to hop back in for a bit to see how things are looking with 1.0. It's probably worth stating before things kick off in the video that neither Mike nor myself have put a lot of time in the game to get more cards beyond whatever we got from the Early Access. We both tossed together a couple quick decks and hopped in to just take a look. It is clear that the Co-Op Challenges in the game, even on "Normal" difficulty, are not exactly geared towards that level of play. That's not to say I don't think you can't beat the challenge with just the basic stuff you get the first time you hop in, but the bosses you face do require some very specific strategies to be employed. With that being said, I think there's something to all of this. The inclusion of a dedicated co-op mode to be played and enjoyed with a friend is a really nice feature missing from a lot of similar digital card games. The "Morality" and questing mechanics have some definite potential for interesting deck builds. I'll be interested to see how this all develops and continues once the next big content patch arrives. Fable Fortune is available on the PC and Xbox One. There's a dedicated "Co-Op Challenge" mode that allows two players to team up online and use their own decks to take on a challenging boss. Beating the boss multiple times will reward the players with new cards and card packs. Page created in 0.8601 seconds.